Product Description: Digital Camera Utility is software application that designing for manage and edit images shot that taken using Pentax digital camera. The program comes with main window that able to customize by adding tools and remove the tool buttons that you often use more. This will make editing and managing photo becomes easier and faster. The app comes with tow mode, laboratory and browser. Laboratory is recommended for those who want to remove elements pieces from images or tweaking images and improving the overall quality and crispness from the image. You are able to convert RAW image into JPEG or TIFF image files and then save it into anywhere drive location. Operating system: it is available for Windows 7, Windows 7 64 bit, windows 8, windows 8 64 bit, windows 10, windows 10 64 bit. Supporting formats: launched in 2017.4.27. 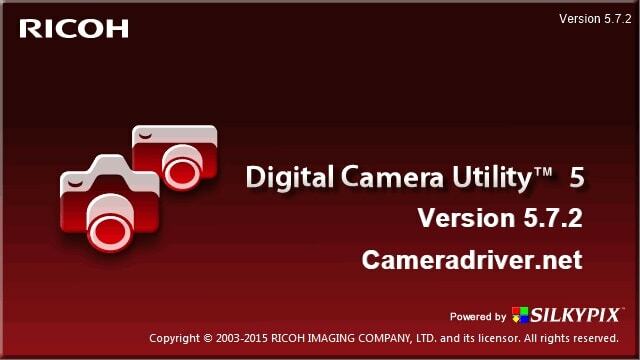 For the right update, you need to ensure for having recent installed Digital Utility Camera version 5 in camera digital. It not compatible for previous version of software included Camera Utility 4? Pentax Photo Browser and Pentax photo laboratory. IT is compatible for RICOH and Pentax digital camera. Double click the following application software and installer will begin. When the installation completed, click finish. Name: Digital Camera Utility 5 (Version 5.7.2) Windows Updater. 0 Response to "Pentax Digital Camera Utility Version 5.7.2"